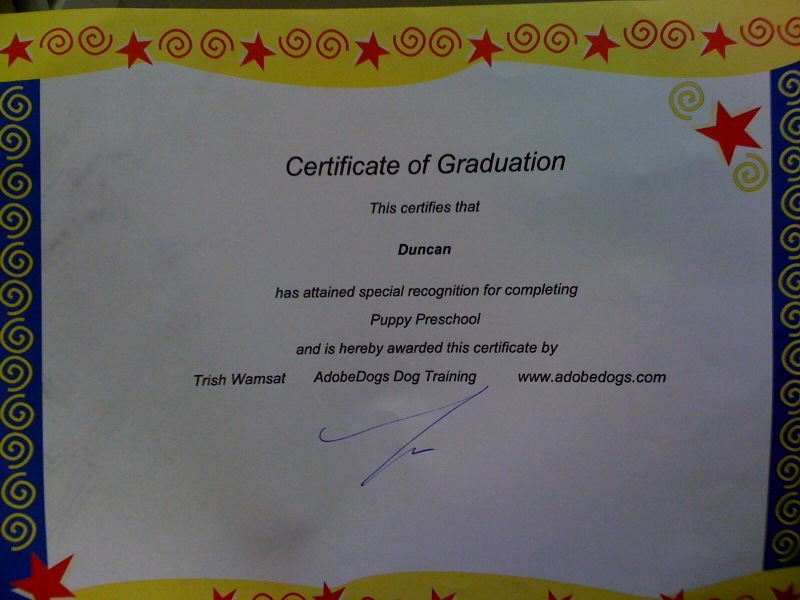 Puppy (aka Duncan, Dunkie, Punky Dunkie, Dunkie Pooh, Powdered Doughnut) graduated from Puppy Preschool today! Each of us took turns performing all the tricks we learned in class in front of everyone. We did sit, down, stand, stay, spin left, spin right, touch, "stick 'em up!" (look like a prairie dog), and on the side with reasonable success, especially considering I've been slacking a bit on daily Duncan training. What can I say, I'm a busy single parent! The class was a blast. 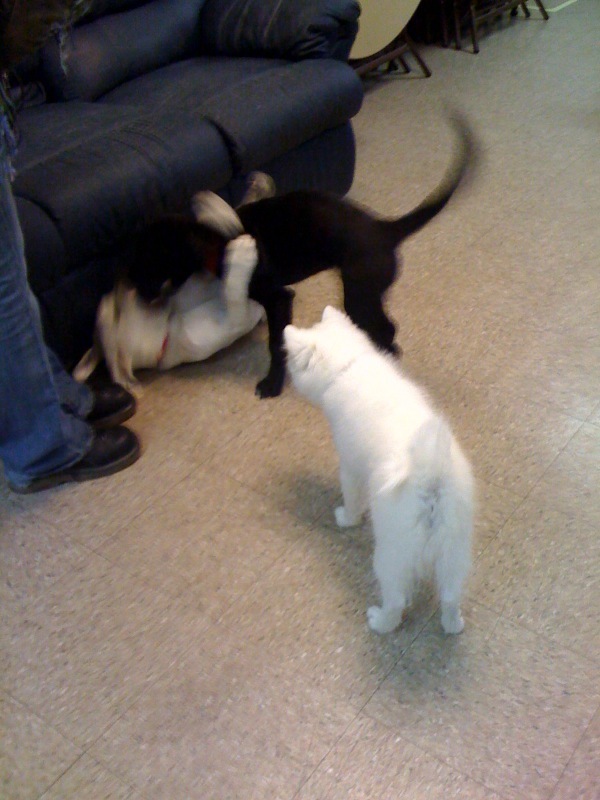 After hiding under a chair for five weeks, Duncan finally came out to play with the big puppies today! Everyone was excited to see the little snowball bouncing among the rambunctious puppies. 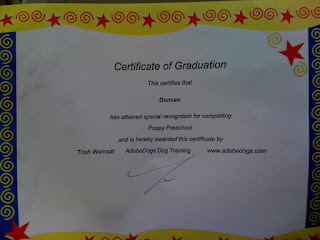 I've decided they should make puppy class a type of therapy for people. It's been a stressful few months for me and I can say without a doubt, almost nothing cheers me up as quickly as a tumbling pile of fuzzy puppies.